Svetlana Ibrić received her bachelor degree at the Faculty of Pharmacy (University of Belgrade) in 1994. 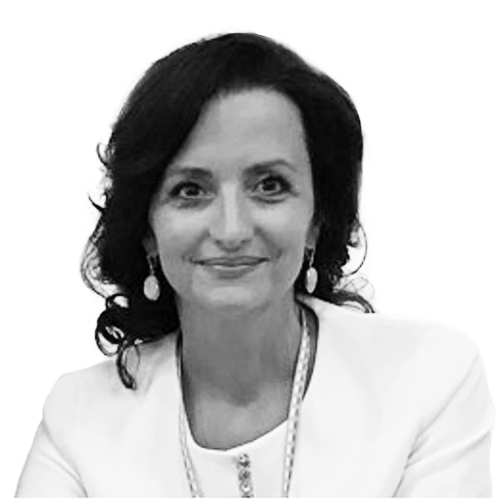 In 1997, she received her Master Degree, and her PhD degree in the field of pharmaceutical technology in 2002 at the Faculty of Pharmacy (University of Belgrade). She was promoted to the position of full professor in 2014. From 2012-present, she is Vice Dean for Science and National Relations at the Faculty. In 2017. European Directorate for Quality of Medicines (European Commission) nominated Svetlana Ibrić as an expert and a Chair of the Powders Working Group in European Pharmacopoeia. She is Lead of the Centre of Industrial Pharmacy which brings together members of all pharmaceutical companies in Serbia, regulatory authorities and academia. Dr Ibrić is member of Committee for marketing authorization of human drugs in the Medicines and Medical Devices Agency of Serbia (from 2010). She is leading the scientific project financed by the Ministry of Education, Science and Technological Development, Republic of Serbia (starting from 2010) with participation of pharmaceutical companies: Hemofarm and Galenika. Title of the project is „Development of products and technologies that enable desired drug release from solid oral dosage forms“. Her area of interest is controlled release dosage form development, 2D and 3D printing of tablets and medical devices, application of machine learning tools in product/process optimization and Quality by Design implementation in development of dosage forms and processes. She has published over 200 scientific papers, she is co-author 6 chapters in international monographs. She has over 760 citations and her h-index is 16.